For Dharam Vir Seth, my maternal grandfather, things were always about the past. Each conversation would take us across the border to the city of his birth – Lyallpur, which is now in Pakistan and has been renamed Faisalabad. I don’t know how I didn’t find it odd that he somehow managed to connect every story to Lyallpur in even a minor, tangential way. That a place one had left nearly seven decades ago could so strongly still linger in their memory, became quite clear with him. He would tell me about the Partition and how it forced them to flee to Amritsar and finally settle in Ludhiana. But most of all, he would speak about the habits and traditions of a time and society that no longer existed – the values that people had when he was young, how no matter how hard life became, the family support remained invaluable, and how perhaps we were not rooted to our lands any longer. 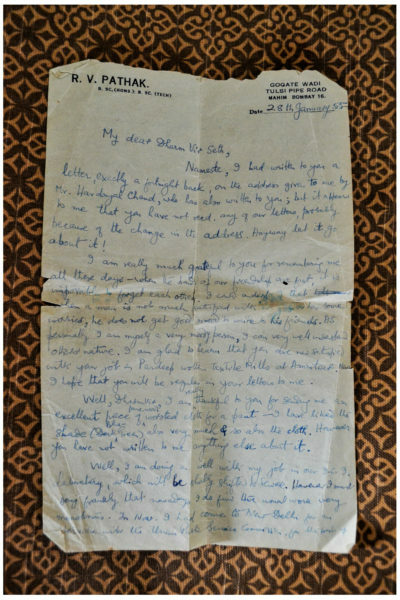 I’d always listen to these stories, but perhaps not closely enough, for after his death in 2016, I chanced upon a pile of old letters – some he had written and some had been written to him – that left me with more questions than answers. There are many ways to be introduced to a person, and in the case of my grandfather, perhaps it was through these that I truly met him. We brought the pile to Delhi with us, and with each letter I read, Dharam Vir Seth and I became better acquainted. 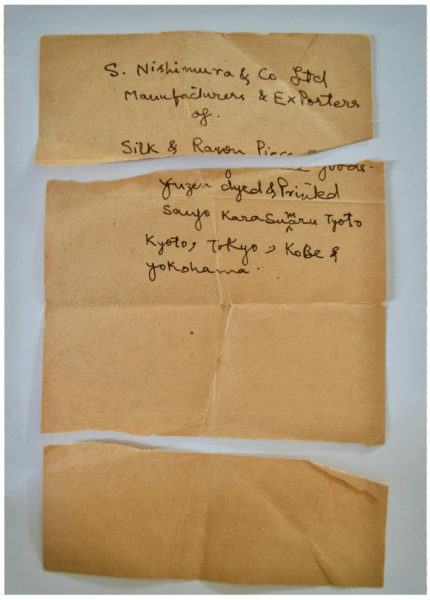 I supposed it’s natural that we form associations with objects of those who have left us; an invisible inanimate bond appears, and so these simple, yellowing rectangular pieces of paper very quickly became a way of keeping my grandfather alive. There are 55 letters in total, though there may be more that I didn’t find. 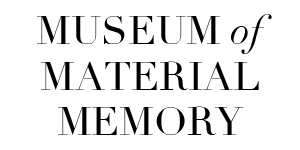 They include letters sent and received from friends and family, job applications and resumes and general notes to oneself, spanning from 1952-1962. 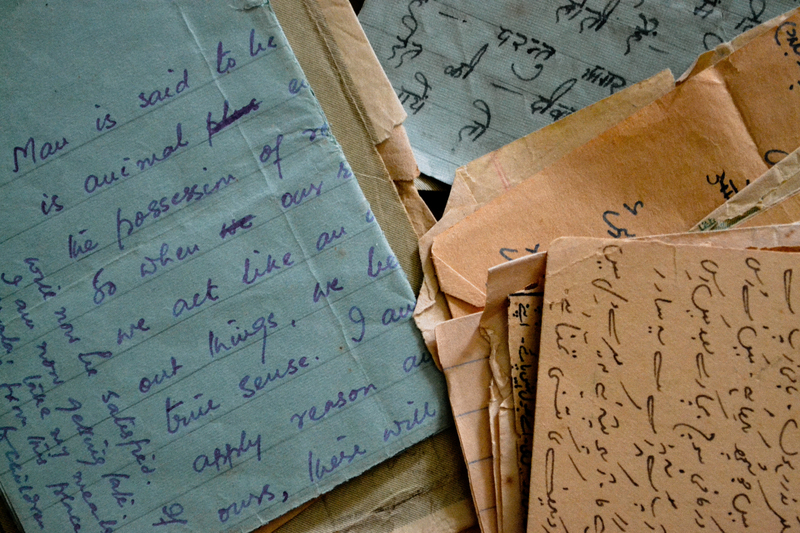 They have been written majorly in three languages- English, Urdu, and Hindi and of course, in beautiful, careful handwriting. The ink on the letters is fading away like the past and the words are not as legible as they once were. The paper is coarse, but still feels delicate, as though holding it too tight might make it crumble completely- already tears and cracks have begun developing. 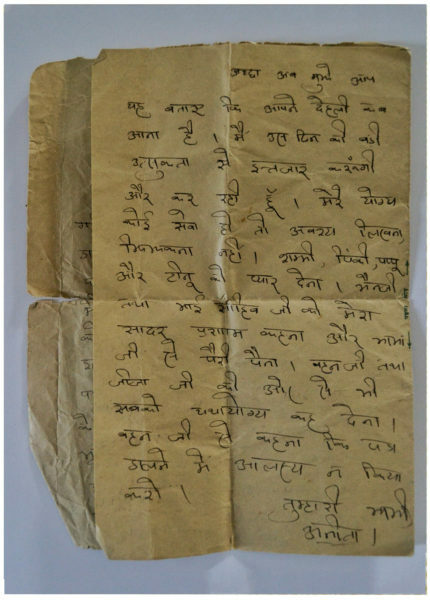 These letters posses a fragrance of oldness, aged paper, and the aroma of Nanaji, my grandfather. For the last two years, they have been residing safely inside my cupboard. 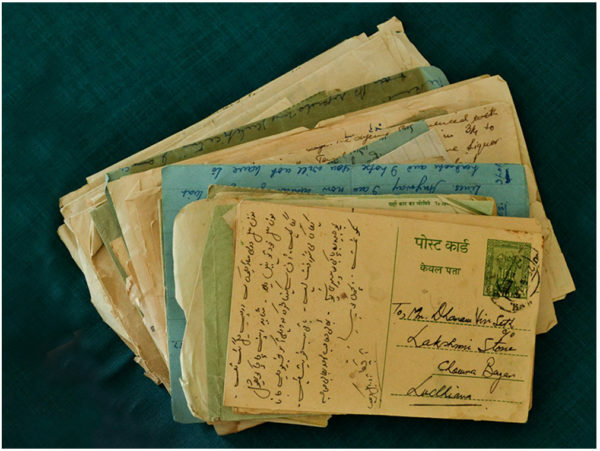 He was 15 years old when the family had to move across the border to Amritsar during Partition, and many of the letters reflect the difficulty they had in establishing work and normalcy in a new city and atmosphere. They had owned a retail cloth shop in Lyallpur and would have had to begin from scratch on this side. 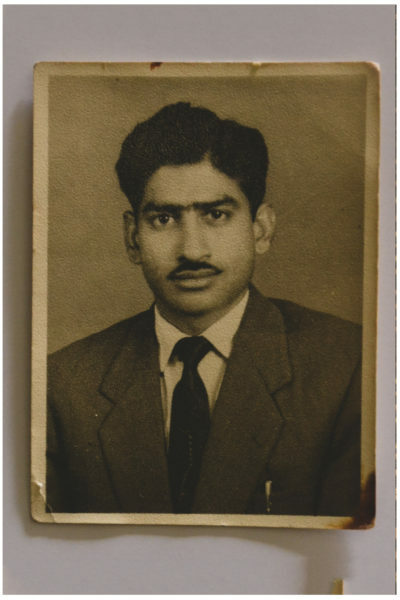 My grandfather, leaving the family in Amritsar, moved to Delhi to complete his education, travelled to Bombay thereafter and worked some odd jobs, and finally, in 1954, as a diploma holder, he began work as a dyeing master in Amritsar. 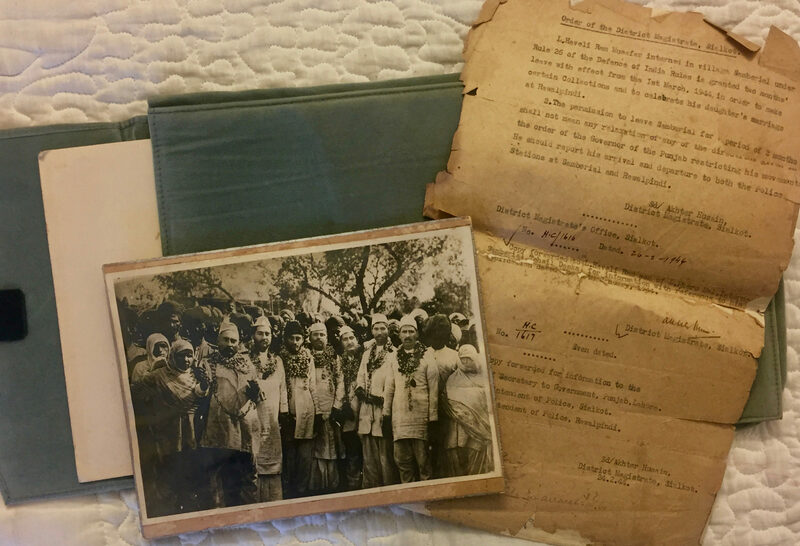 Holding a photograph of his that I found in my grandmother’s purse – he is 28 years old in it – I wondered why mostly always focused on the nostalgia-filled days before Partition, but not the circumstances and predicament of the family during or after it. 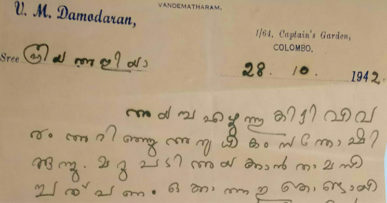 Some of these letters were sent to Nanaji by his elder brother, Sham Sunder, living in Delhi, remembering the good old days of their childhood in Lyallpur, making plans for holidays and deep discussions over topics like “Why Man contemplates so much before doing a good act, when bad deeds and evil acts are done without any thought?” and how one must put an effort into taking care of themselves and their health, above all else. There are also angered messages when they have not talked in a while, “How Man, indeed, is a toy in the hands of circumstances”. There are letters on business matters – “Mere jaane ke baad aap logon ke halaat aur dukaan ke kaarobaar ka kuch sudhaar hua hai ki nahi? Has the situation for the shop and business improved after I left?” There are letters from friends living in Bombay, missing him and saying “It is impossible to forget each other”, congratulating him on his engagement, letters from sisters and sisters in law living in Delhi wishing for his “khairiyat” (well being), letters of job appointment and certificates. 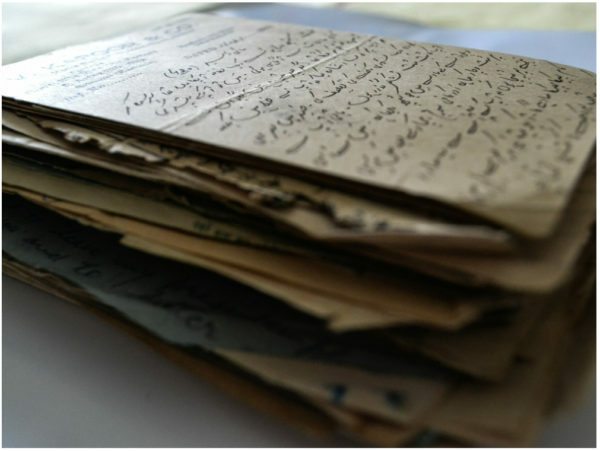 People of those days mostly wrote in Urdu, as it a common language of expression and education. But perhaps it was also that what they wanted to say could truly only be said in Urdu, for it was the language of their heart and soul. 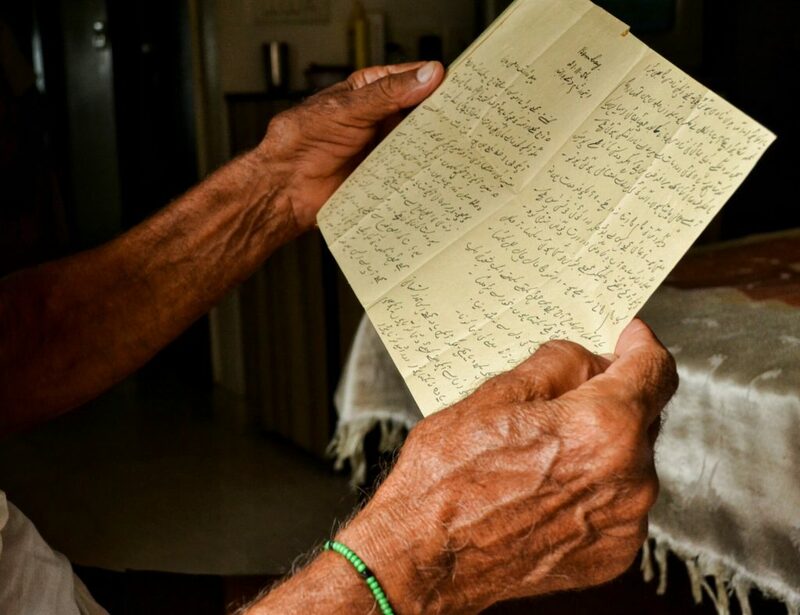 It was the main language Nanaji used, while reading and writing- An Urdu newspaper came to his shop everyday and he often brought it home and would read aloud from it. Apart from that, he had a large collection of Urdu novels, which now remain unread. 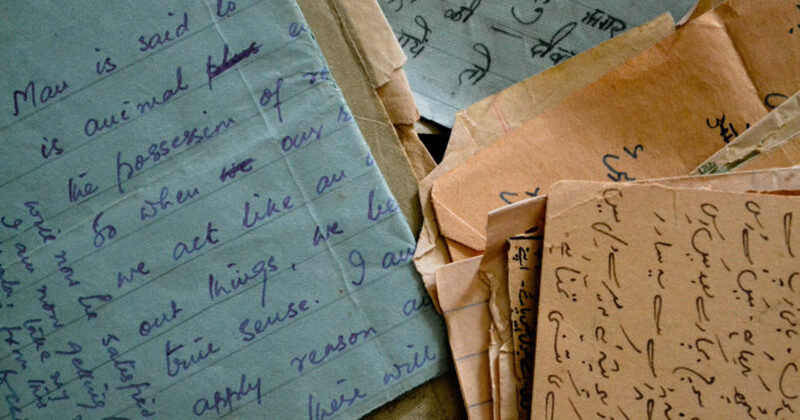 It bothers me that Urdu, which was a major medium of communication between my grandparents, is now lost in the subsequent generations of our family and community. 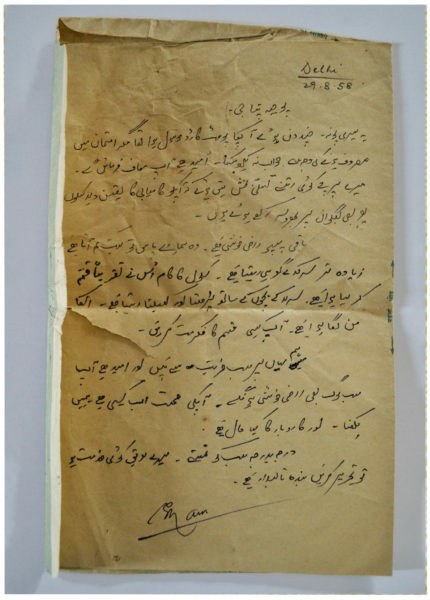 Though I have tried to learn Urdu with the help of Dadaji, my paternal grandfather, who also translated some of these letters, but I couldn’t completely. Its essence and beauty is lost in its translation. Holding this aged piled of papers today feels like holding fragments of my grandfather’s life. It is a treasure to keep this past alive so that the stories of him and his generation are not forgotten over time. I am careful now to notice all the things that made his world his, all the things that are slowly, gradually becoming history – the language, the elegant script and detail with which he wrote it, the anecdotes from across the border, the way of life and sanctity of relationships, and most of all, a spirit of resilience and entrepreneurship.